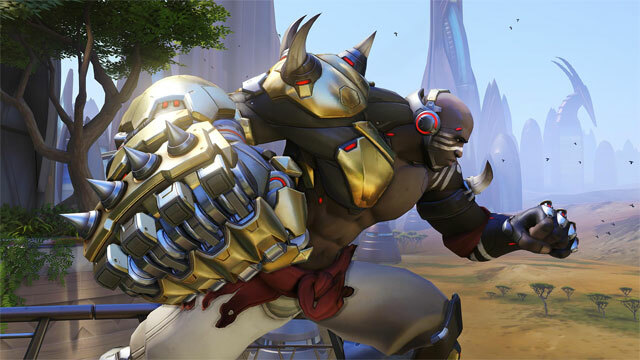 Doomfist came to Overwatch more than a month ago, but players are still learning how to use him. 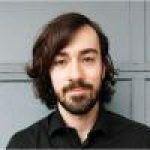 The new hero is extremely powerful, but re quires players to use new strategies, as well as a playstyle that is totally new to Overwatch. Every hero has an ideal range of combat: for example, Soldier: 76 is strongest in a mid-range firefight, and Widowmaker is designed to kill over long distances. 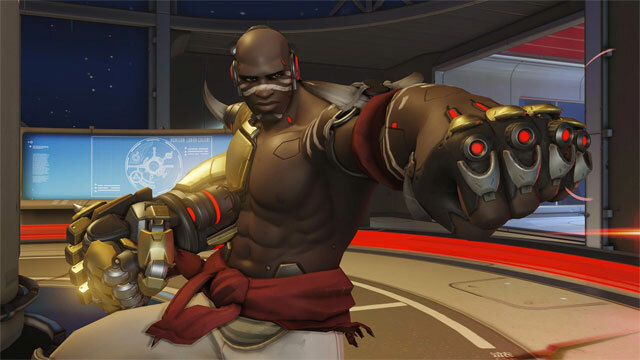 Doomfist is the first hero designed for melee use. So how can you master Doomfist? As with any other hero, there are two aspects to playing effectively: mechanics and strategy. Doomfist’s primary fire has a small spread, but only four shots. These shots recharge in a matter of seconds, but never fast enough in the heat of battle. This attack doesn’t do much damage, and the slow recharge means that it’s not very effective. Right-clicking charges Doomfist’s Rocket Punch, by far his most powerful attack. When fully charged, it deals 200 damage instantly, sending the target flying backward. If the victim hits a wall, that impact deals another 50 damage on top of the attack itself. That means that with this attack alone, in the right conditions, Doomfist can kill any support or DPS hero with a single blow. Doomfist’s Rising Uppercut (mapped to the Shift key) strikes directly in front of the hero, launching Doomfist and anyone the attack hits into the air. It doesn’t deal much damage, but it is an important part of Doomfist’s strategy. Pressing ‘E’ unleashes the Seismic Slam. 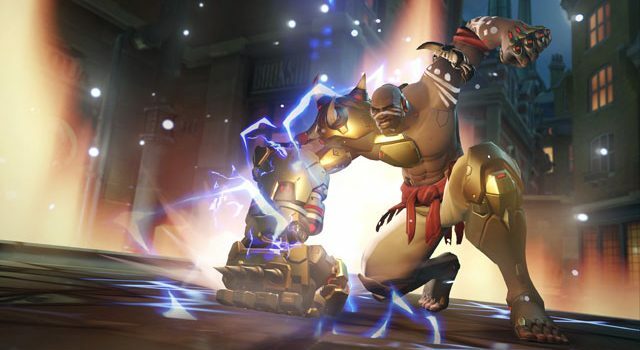 Doomfist launches forward, smashing the ground and doing a small amount of damage to anyone in front of him. Like the Rising Uppercut, this attack isn’t impressive for its power, but it is strategically important. Doomfist’s ultimate, Meteor Strike, sends Doomfist shooting into the sky to return as a meteor. It does a lot of damage on impact, but it’s also quite easy to dodge. When used alongside Zarya’s Graviton Surge, it can be devastating. Finally, Doomfist has a passive ability: every time he hits an enemy hero with one of his abilities, he gains a small amount of shield, to keep him alive a little longer. Doomfist’s most powerful ability is his Rocket Punch. It can instantly kill any hero with 250 HP or less, and it can deal massive damage to tank heroes as well. This ability is extremely useful in choke points and narrow corridors, as there aren’t as many opportunities for an enemy to dodge out of the way, and it is more likely that the enemy will be knocked into a wall for that extra 50 damage. If you’re pressing a point, attacking through narrow areas can give you a strategic edge. If you’re defending, narrow areas are the perfect place for an ambush. If the Rocket Punch isn’t enough to finish off an opponent, the Rising Uppercut can be a smart next move. This attack deals a small amount of damage when it hits, but it also launches the enemy into the air with you, preventing them from escaping. Then, hit them with the primary fire or the Seismic Slam for a finishing blow. The Rocket Punch only has a four-second cooldown, which means you can use it pretty frequently. Because the cooldown is so short, it’s often a good idea to use that as your first attack, once you’ve picked a target. If they survive, Doomfist’s weak primary fire may place you at a disadvantage, but you’ll only have to survive for four seconds before you have another chance to destroy your opponent with your most powerful attack. Doomfist’s strength is hitting hard and fast. He’s not designed for long, drawn-out duels. Use his abilities as a combo to deal as much damage as you can, as quickly as you can, and then make your escape. Experiment with using abilities in different orders to suit different situations. Rising Uppercut and Seismic Slam may not do a lot of damage, but they can also be used for mobility purposes. Rising Uppercut can let you reach higher areas on some maps, and Doomfist’s leap forward for the Seismic Slam can be used to jump away from enemies. Using these abilities defensively as well as offensively can save your life. A word of warning: Doomfist is great for flanking and taking down enemies one-on-one before rejoining your team, but don’t overextend. Killing enemies with single blows feels great, but you have to be careful not to get overconfident. Doomfist has a huge hitbox, and when his abilities are on cooldown, he’s almost defenseless. When outnumbered, Doomfist will almost always lose. Think carefully before you charge into the enemy team; Doomfist is incredibly powerful, but he’s also very fragile. Doomfist is strong, but he’s not as strong as he might seem at first. Regardless of what hero you play, there are strategies you can use to defend yourself against Doomfist. Stay in the open, and avoid narrow areas of the map where you can’t avoid the Rocket Punch. Stay near teammates, so that Doomfist can’t pick you off. Don’t charge after Doomfist to attack; make him come for you, but avoid the first Rocket Punch. Once that ability is on cooldown, you have four seconds to use Doomfist as target practice. There are also several specific heroes that do well as Doomfist counters. Pharah can stay in the air, firing at Doomfist while staying out of range of the Rocket Punch. Soldier:76 and McCree are both mid-range characters, which gives them an advantage. Roadhog can out-damage Doomfist, and he has enough health to withstand the Rocket Punch, as long as it’s a one-on-one duel. If Doomfist gets caught out in the open, Widowmaker can easily pick him off. The strongest counter against Doomfist is definitely Sombra. With Doomfist’s heavy reliance on abilities, and his weak primary fire, Sombra can disable him more thoroughly than anyone else with her Hack ability. Once that’s done, she can easily finish him off with her primary fire.